If you’re looking to spice up your commutes around Westchester County, White Plains, and New Rochelle with a car that’s fun to drive and offers stylish design cues, you’ll want to consider the 2018 BMW 540i. This luxurious midsize car is spacious enough to be practical for a family, without compromising on style and comfort. To give you a closer look at all that this vehicle has to offer, our team at BMW of Westchester has put together this 2018 BMW 540i review. The BMW 540i is a trim level of the BMW 5-series luxury sedan. The vehicle features a 6-cylinder turbocharged engine that makes 335 horsepower and 332 pound-feet of torque, allowing the vehicle to zoom from 0 to 60 miles per hour in just 4.7 seconds. All-wheel drive is standard, and you’ll get Dynamic Stability Control and Dynamic Traction Control. The engine comes with auto start-stop, which allows the car to automatically turn itself off as you idle, before seamlessly restarting when you press on the accelerator. You’ll also get standard Driving Dynamics Control, which gives you the ability to manually switch between different driving modes for a customized ride feel. You can choose between ECO PRO, COMFORT, and SPORT modes. Looking inside at the BMW 540i interior, you’ll find seating for 5 on standard Dakota Leather upholstery. In the front, there’s special sport seats which are 16-way power adjustable, as well as driver’s seat and steering wheel memory settings. The front seats have 38.8 inches of headroom and 41.4 inches of legroom, and in the rear seats, there’s 37.5 inches of headroom and 36.5 inches of legroom. The back seats are split 40/20/40, with a passthrough for stowing longer items in the trunk. All passengers will stay comfortable with the help of standard dual-zone automatic climate control. 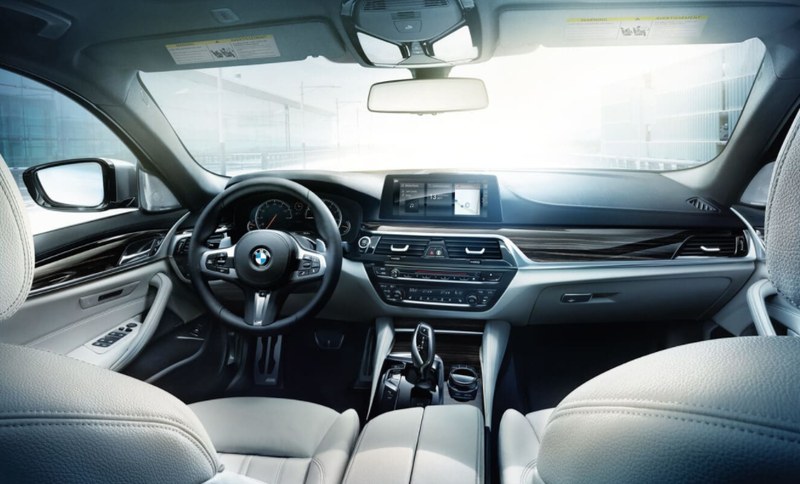 The BMW 540i sedan offers a selection of high-tech features to help keep you connected and entertained during your drives. The car comes standard with a 10.2-inch touchscreen display screen with voice control. You can listen to your favorite tunes on the 12-speaker audio system, and a navigation system is also standard, so you can find just where you’re going. For safety, you’ll get a few standard active safety features. These include adaptive cruise control, a driver drowsiness monitor, and the Active Protection System, which can help prime the vehicle for an impending collision. A number of other driver-assisting safety systems are available to add, including blind spot monitoring, forward collision warning, automatic braking, and more. 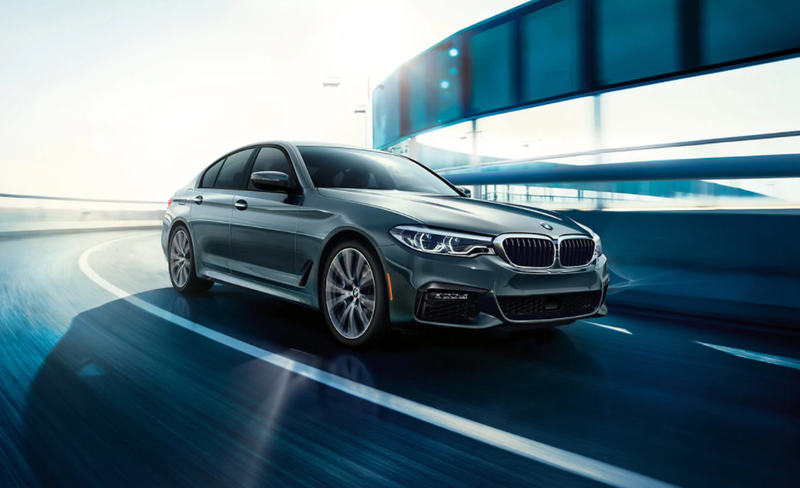 If the midsize BMW 5-Series 540i sedan sounds like it could be a good fit for your drives around Westchester County, White Plains, and New Rochelle, it’s time for you to check one out in person. Contact BMW of Westchester, and you’ll be able to come slide into the driver’s seat of this luxurious vehicle and take it for a spin. In the meantime, feel free to reach out with any questions that you might have. We appreciate your interest in our inventory, and apologize we do not have model details displaying on the website at this time. Please fill the form out below and our team will quickly respond, or, please call us at (914) 761-6666 for more information. BMW of Westchester	41.0441837, -73.8033605.